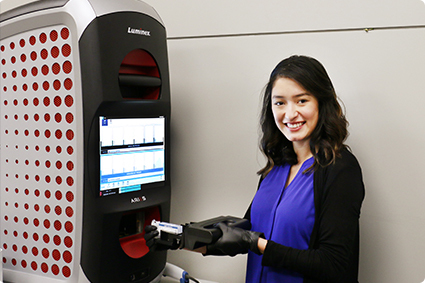 The Luminex Learning Sessions are a comprehensive instrument, software, and assay development educational program, that is highly focused on ensuring you have the knowledge, skills, and resources needed to successfully use Luminex products in your lab. So whether you are new to Luminex products or an experienced user, we hope to see you in Austin for our Luminex Learning Sessions! Looking for training in Europe? Check out our Europe training events! Located in northwest Austin, Luminex is approximately 30 minutes from the airport by car, shuttle, or taxi. Audrey Escalante is the lead Technical Applications Trainer with over five years of experience in the education and science fields. Audrey has extensive experience in training chemistry, biology, and physics sciences. Audrey attended Illinois State University in Bloomington-Normal, Illinois, and holds a Bachelor’s degree in Chemistry as well as a Master’s degree in Curriculum and Instruction. Kristin Fathe is a Technical Applications Trainer with over seven years experience in biotechnology research and education. She has a background in protein and nucleic acid chemistry and metabolism, as well as assay development, along with experience in post-secondary education. 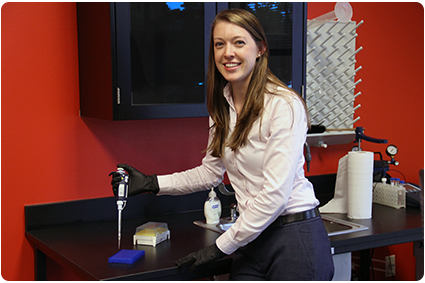 Kristin has her Bachelor’s degree in Biochemistry and Molecular biology from Trinity University in San Antonio Texas, as well as a Doctorate in Biochemistry and Post-Doctoral training in Pharmaceutics from the University of Texas at Austin. Jill Hutson is a Technical Applications Trainer with over 5 years of experience in the education and science fields. She has extensive experience in training biological and environmental sciences. Jill attended the University of Texas at Austin and holds a Bachelor’s degree in Biology, specializing in Neurobiology. Terrin Blackmon is a Training Coordinator with a background in biology and public health. Terrin obtained her Masters in Public Health from the UTHSC School of Public Health in Houston, with a concentration in Community Health Practice. She also holds a Bachelor’s degree in Biology from Trinity University in San Antonio. 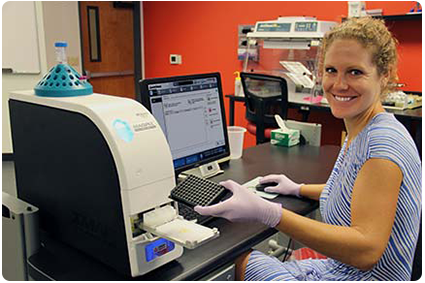 Gabby Mora is a Technical Applications Trainer with more than 5 years of experience in clinical molecular pathology. 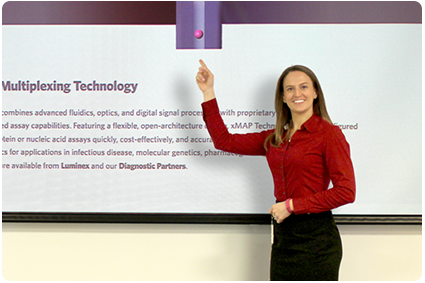 She has extensive experience training technologists in clinical settings as well as experience with numerous molecular techniques. Gabby attended Baylor University in Waco Texas and holds a Bachelor’s degree in Biology. 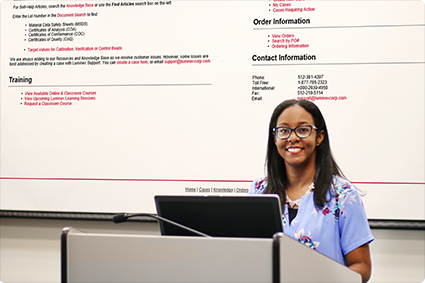 She also completed an internship at Scott and White Memorial Hospital that lead to her certification in Clinical Laboratory Science.